We offer an in house pharmacy with 24 hour turnaround on refills. Call or request your prescription online using your Petly portal. 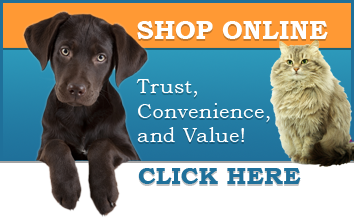 If you'd prefer the convenience of having your medication shipped directly to your door, shop online with our online partners at VetsFirstChoice.